This is part of one of the gallery’s popular late events, which incorporates food, drink music, workshops and the chance to see the ‘Edward Bawden’ exhibition after hours. 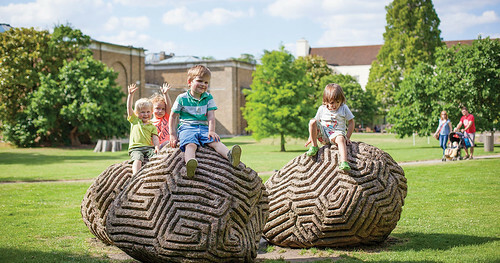 The Dulwich Picture Gallery’s quirky buildings and lush gardens make a wonderful setting for a summer’s evening of entertainment and enlightenment. Edward Bawden, Brighton Pier, linocut, 1958. Top. Alex Booker at work in the Booker Print House. 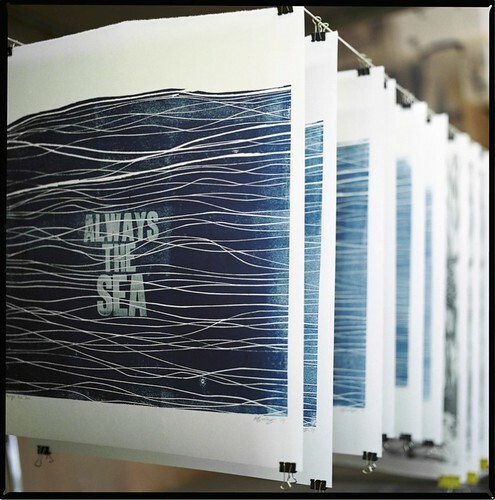 Alex Booker, Always the Sea, a line from the song ‘Carrion’ by British Sea Power … and a reference to the Booker family’s maritime history. After Booker’s presentation, there will be a panel discussion about the relevance of Bawden’s life and work to contemporary artist/designers. 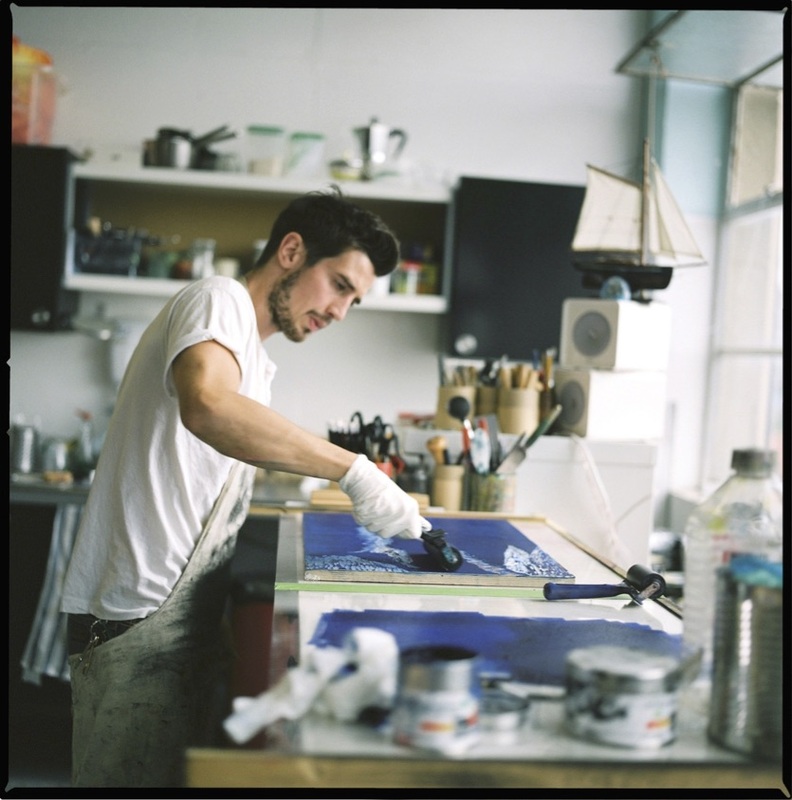 Alex will be joined by fellow artist/printmaker Chloë Cheese, curator James Russell and Fortnum & Mason archivist Andrea Tanner. Edward Bawden, Hors d’Oeuvres and Savouries. Client: Fortnum & Mason. 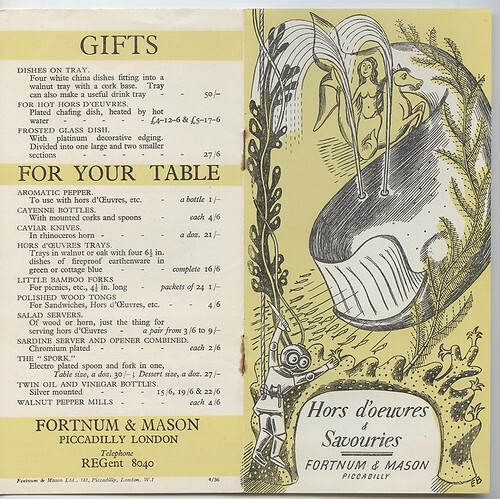 Fortnum & Mason was one Edward Bawden’s most important clients in the 1950s – Dr Tanner points out that Bawden made the most of the shop’s regular commissions (menus, Christmas catalogues, price lists and other printed matter) to innovate constantly, never content to repeat himself. Some of his amusing, slightly surreal drawings are still in use today. 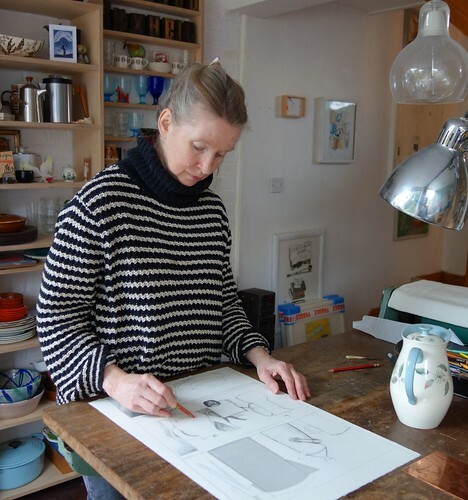 Chloë Cheese, who grew up in Bawden’s home town of Great Bardfield, knew Bawden and his family well. 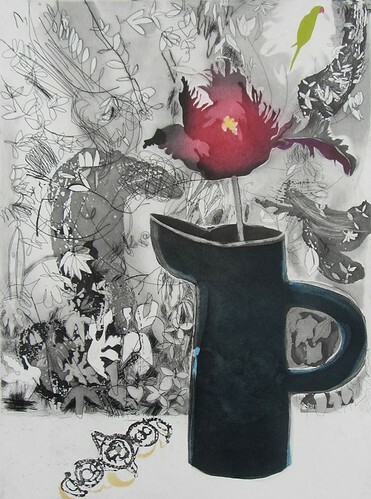 She recently exhibited her work alongside that of Edward’s son Richard Bawden at Watts Gallery in Surrey, and last week took part in a discussion at Dulwich with former Bawden studio assistant Peter Avery. 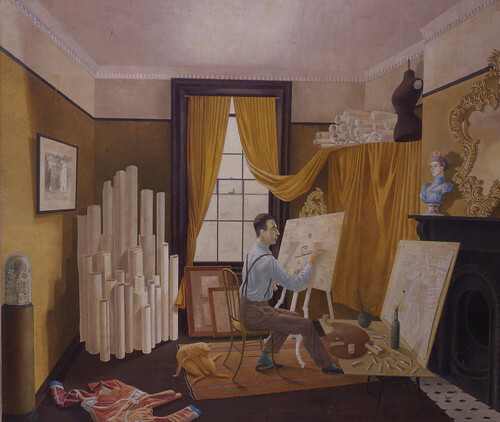 Eric Ravilious, Edward Bawden Working in his Studio, 1930. James Russell has written widely about mid-century design and illustration, and curated Dulwich Picture Gallery’s highly successful ‘Eric Ravilious’ exhibition in 2015 (see ‘Observer’s post’ on the Eye blog) as well as the current ‘Edward Bawden’ show. 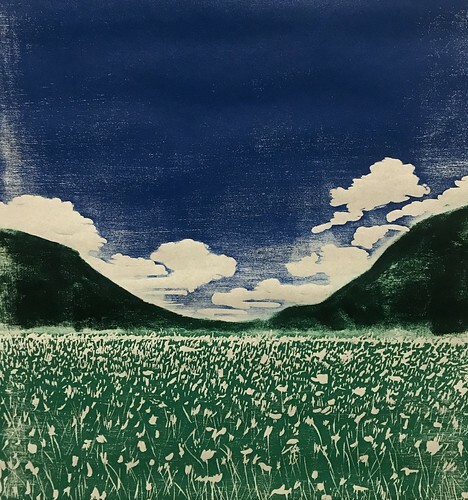 Alex Booker, Mountain Meadow, 2018. 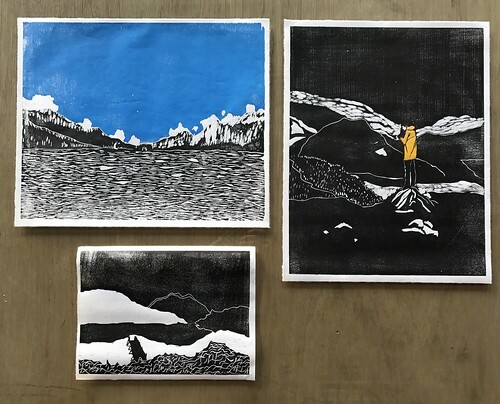 Alex Booker, Swiss Prints, 2017. Edward Bawden, Coloured proof from English as she is spoke. Dulwich Picture Gallery garden, in the heart of Dulwich Village between Brixton and Peckham. Full address: Dulwich Picture Gallery, Gallery Road, London SE21 7AD.